When I look at the world around me, and then back at a lot of my favorite fiction – Blade Runner, Neuromancer, Shadowrun – it feels like the whole cyberpunk genre is a thing of the past. 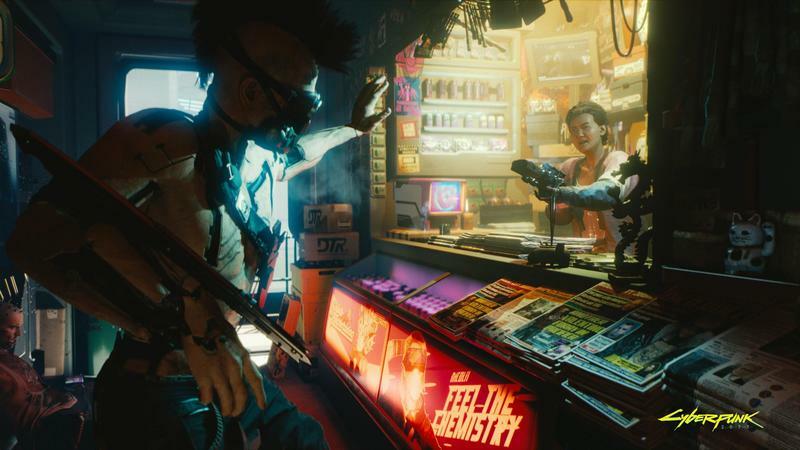 After seeing CD Projekt’s Red’s Cyberpunk 2077, it feels like maybe one of my favorite genres is more current than ever. Sure, the United States isn’t formally broken up into separate nations, but it’s definitely more divided than it’s been in a long time. Meanwhile, our relationship with big corporations is changing rapidly; they know more about us than ever, and it’s harder and harder to extricate ourselves from our connections to them. These companies have power to determine our access to wealth and basic necessities more than they ever have, and it’s harder than ever to decide for ourselves where we spend that money as they buy up smaller companies and profit off them from out of sight. 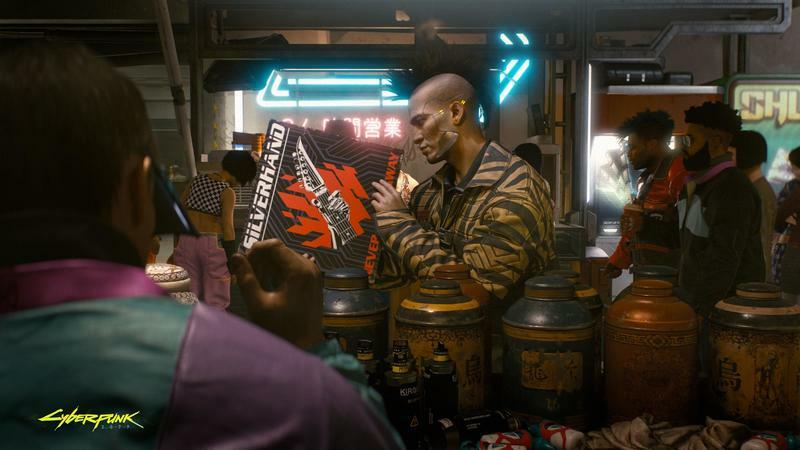 Cyberpunk 2077 imagines a world where we might have the power to take some of that agency back. 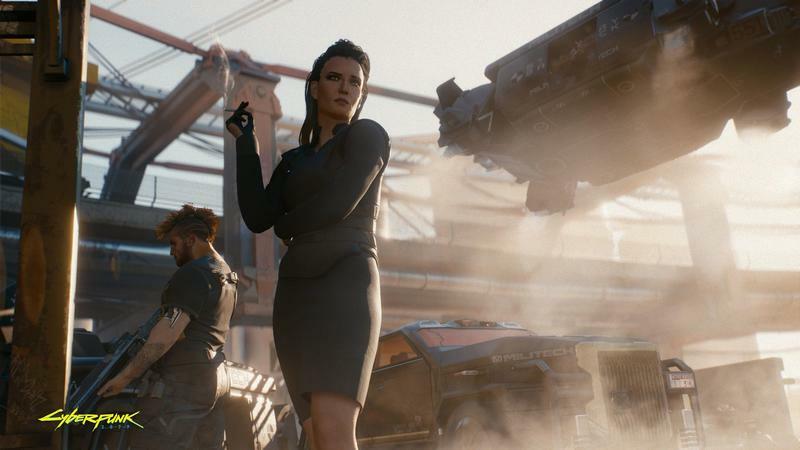 CD Projekt’s futuristic adventure splits off from its previous games, the Witcher series, in a bunch of ways, but it all feels like we’re on the way to a game that makes good on the promises the company’s name implies at this point. 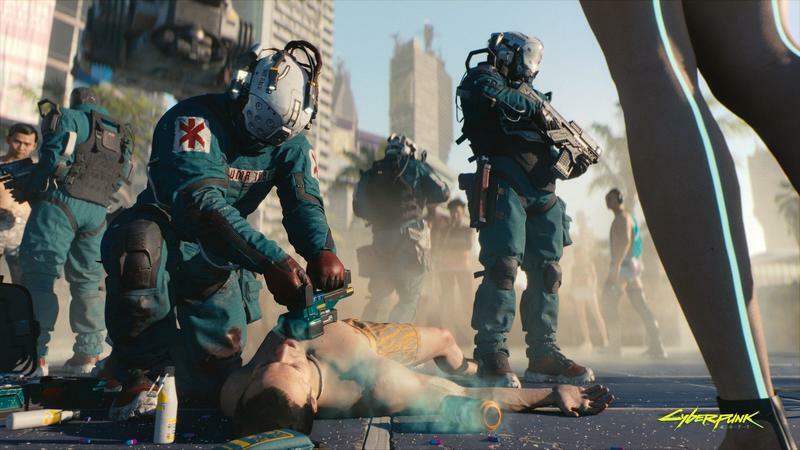 Cyberpunk 2077‘s Night City is a huge place run by megacorporations, where healthcare is a private subscription service. Advertising is almost impossible to avoid. It feels like a plausible future for our world, sixty years out, even if it relies on some assumptions from the original Cyberpunk 2020 pen-and-paper game (print newspapers in 2077? Really?). Right from the outset, it’s clear that that CD Projekt isn’t just trying to ride on the coattails of its success with the Witcher games. 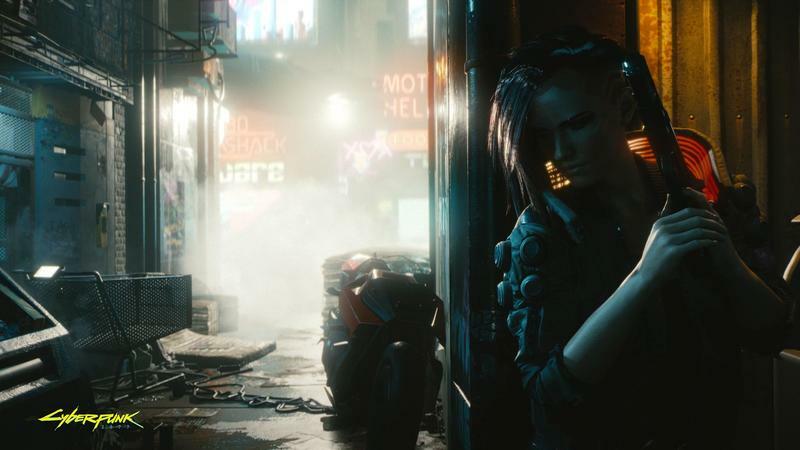 Cyberpunk isn’t different in just the setting, but in the very way it works. The bespoke hero that we had in the Witcher is gone. Instead of a reliable narrator like Geralt of Rivia to roleplay as, you’ll make your own character, named V. You’ll decide the gender for the character and then build a look for them. The character creator looks pretty robust already, with options to select your build (heavy, slender, etc), hair, eyes, make-up, as well as your back story. 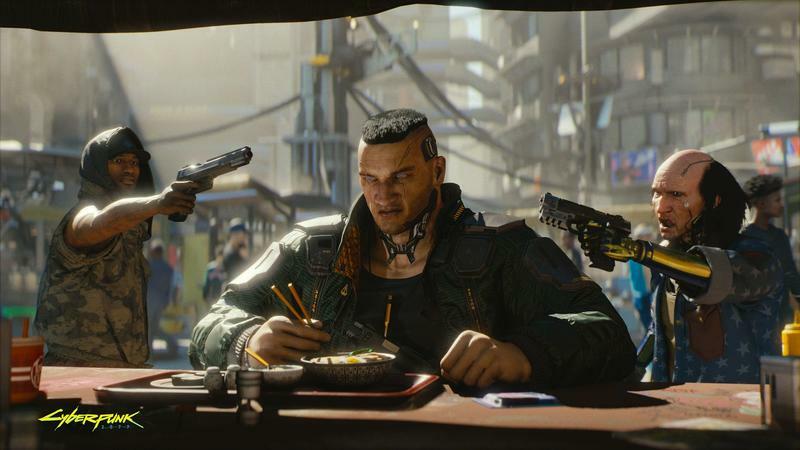 It’s unclear at this time just how that’ll affect gameplay, but CD Projekt has been good about making sure that details like those integrate meaningfully into gameplay. And then there’s the big change of perspective. This is a first person game. 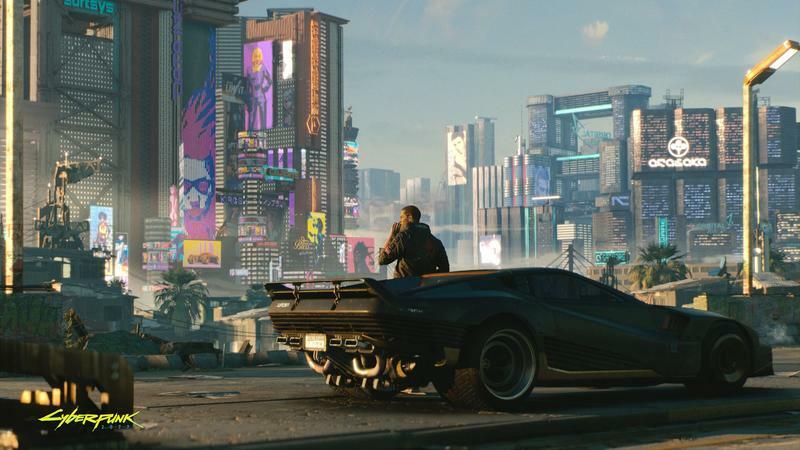 For Cyberpunk 2077, though, it makes sense. 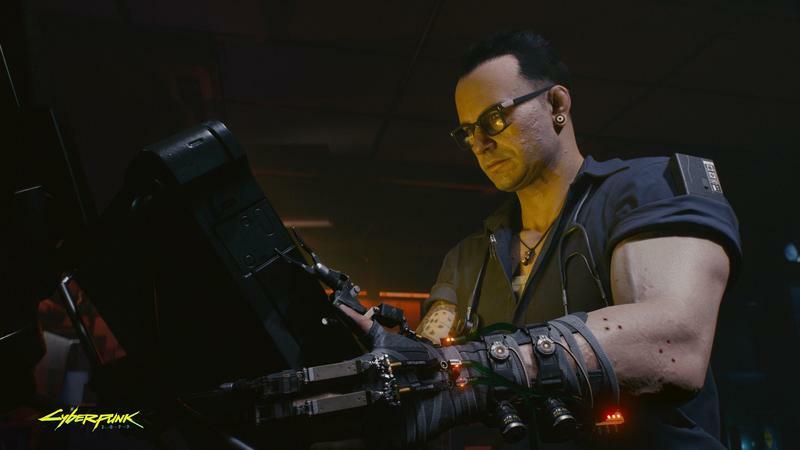 This is a character that CD Projekt wants us to fully inhabit. Once you start using your cyberware, it starts to make sense. Parts of your HUD like remaining ammo and data floating in the air are data fed from your cyberware into your optical cortex. 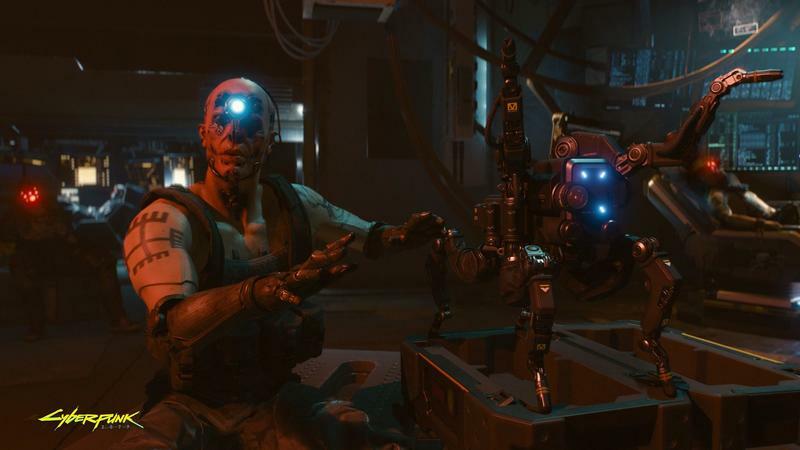 Augmentations like cybereyes and smart-gun functionality add to this over time, and it feels more like a part of your character than a separate tool. Instead of taking place across a nation, it seems like Cyberpunk takes place in one city, called Night City. 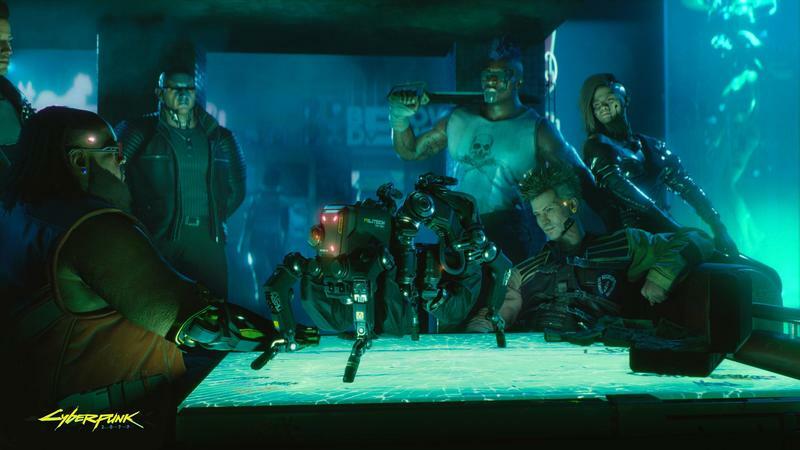 It could be that CD Projekt is keeping other locales under wraps, but I have a feeling Night City has more than enough to do. The city is huge. It’s big enough that you’ll need a car to get around it – a car you can blow up (that would be gross with a horse) and get into combat with. Many of the huge buildings in the city’s six districts have multiple accessible floors, and the street is a crowded, lively place, that looks populous enough to be believable as a city. But it wouldn’t be an RPG without some tough choices and messy combat, right? In our demo, V has to get a military-grade bot back. It’s her ticket to the big leagues. 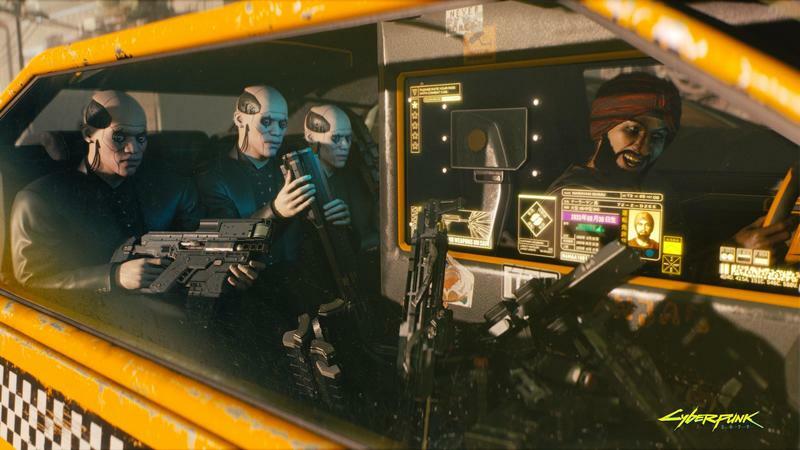 A corporate contact offers V a chance to reclaim the bot peacefully with a credit chip after a tense scene that has to be navigated through dialogue choices and the definite potential for an outright firefight. With the chip in hand, V heads to the dealers’ hideout to purchase the bot with credits. Despite V’s attempts to complete this transaction peacefully, a virus built into the credit chip takes effect and locks down the facility, forcing V and her friend Jackie to fight their way out. Here, we get to see a whole bunch of different ways combat can go down in this game. If you like to hack your way out, all it takes is sneaking up to a few guys. Grab them from behind and knock them out, them hack into their cyberware. The person running the demo shut down the guns of one dealer’s subordinates, but I’m sure there are other possibilities. 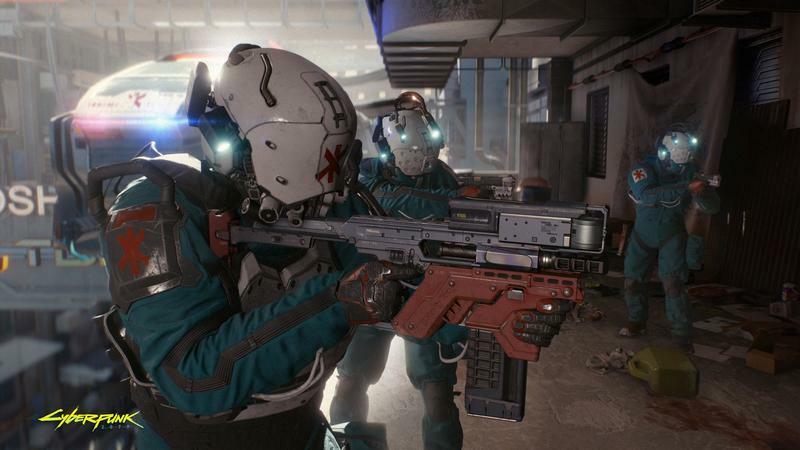 We saw V use cyberware to ricochet bullets or locate enemies through cover to put them down with a powerful shotgun shot. A smartgun’s clip emptied into enemies in front of V without her having to actually aim at any of them. Later, V found a high perch on the wall using blades implanted in her arms to climb the wall. But V could’ve skipped the chip and went for a stealth approach, or tried to talk her way through it without that sabotaged help. The demo is nothing short of stunning, but there’s a lot we don’t know. Cyberpunk fiction is deeply political. It’s rife with criticism of large corporations and wealth disparity. It asks questions about what does and doesn’t make us human. 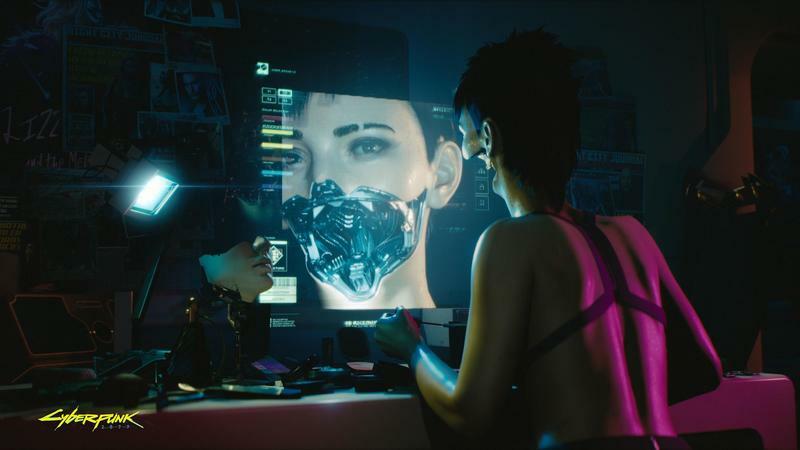 That latter question is a different question in 2018 than it was in 1988 when Cyberpunk 2020 came out or when Blade Runner and Neuromancer formalized the trappings of the genre. CD Projekt’s Witcher games did a good job of being critical of fantasy tropes and giving us interesting, complex characters that questioned those tropes and the archetypes within them, and Cyberpunk has to do that, too. We don’t know how big the game is for sure, or how it’ll actually perform when it ships. We don’t know how flexible the game will actually be when it comes to how to work out of the situations it presents. We do know, though, that CD Projekt has previously delivered on its promises. We know that, right now, the game looks absolutely gorgeous. 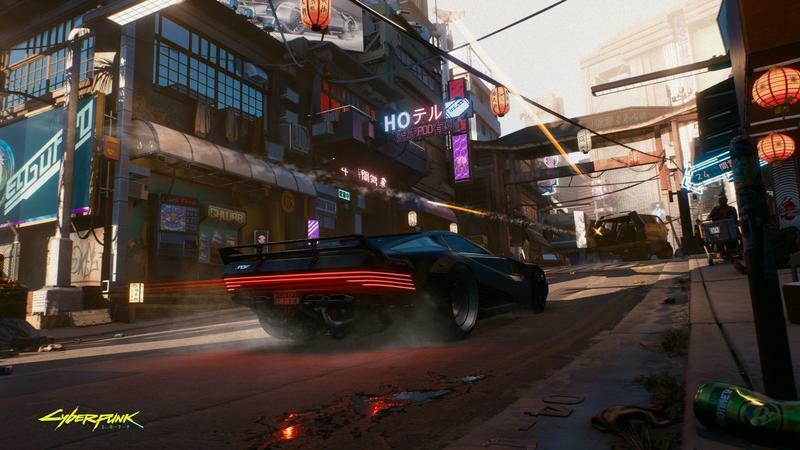 The demo I saw showed a cyberpunk world I’ve dreamed about navigating since I was playing Shadowrun and Blade Runner games back in the early 1990s, now realized in ultra HD graphics with HDR lighting that makes the neon glow. I know that the combat I saw looked fun and fluid and totally different from anything CD Projekt has done. 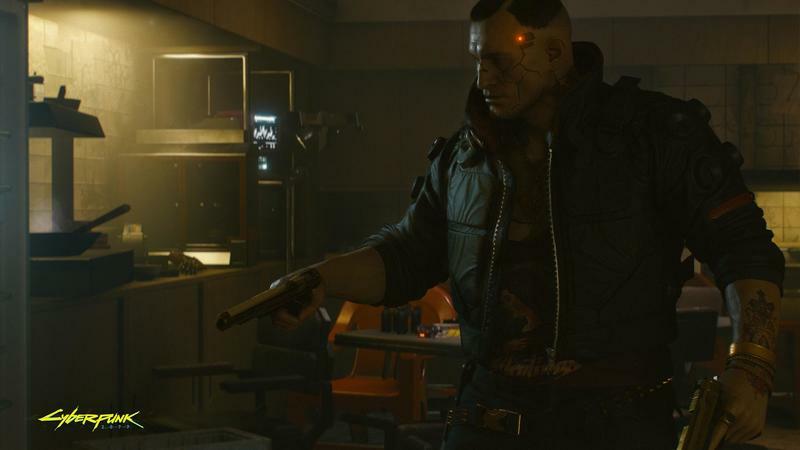 I’ve been clamoring for more information about Cyberpunk 2077 for years, and now CD Projekt has delivered with almost an hour of gameplay. And somehow, I’m even hungrier.